At the age of 16 (1987) I picked my first Bass, an old fretless framus, and 60’ s model. School friends formed a band and we started writing original music. SA bands that inspired us at that time included most of the Sa repertoire that Barney Simon played on his “Shadow Show”. Many Great musicians from all walks of life have inspired me, and I hope to one-day record albums with some of these people as featured guests. I am presently enrolling at the Natal University Jazz and Popular Music diploma course. I hope to tackle my musical weaknesses and at the same time create as much music as possible, oh yes and Learn, Learn, Learn. 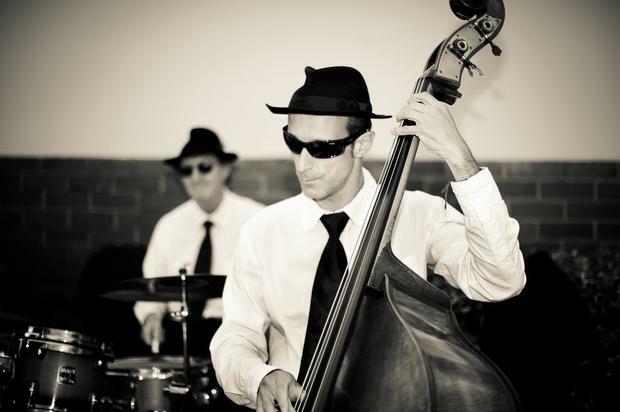 The Double Bass has got to be the most monstrously seductive sounding instrument in the whole world!!! Playing it passionately flawless has got to be my ultimate goal!! At the moment I am listening to anything with superb double bass in/on it. Joined pop-rock band Scooter S Union, playing covers and writing original songs in 1991 and recorded a demo, supporting Crowded House in 1993. The Flames (60’s Beach boys- SA discovery) needed a bass player alongside Blondie Chapman when he came out from L.A in 1993.This nostalgic tribute-gig featured all the “hits” and was performed (one show only) at the Natal Playhouse. Famous Curtain Trick, supporting Roxette (Dbn gig) in 1994 to a 35000 strong crowd. In 2001 (which incidentally features Concord, the TOP Man on bass) I also helped out Squeal (David Birch) in 2000 at the SAMA awards and recorded an Internet EP release ­’Begin’. I have also been involved in several other fabulous side projects such as: Mike Smith Band; Alright on the Night; Ian Henderson; Guy Butterey and Perez (all 2002).